THSC organizes various events as a service to the home school community of Texas. These events, listed below, are designed for parents, students, friends, supporters, and defenders of the Texas home school movement. THSC Conventions are unlike any other home school convention. Our goal is to support, encourage, equip, and inspire new or experienced home schooling families. We offer a wide array of workshops to fit every stage of your home schooling life. Our Exhibit Hall vendors are experienced professionals who are available to guide and advise you on the appropriate curricula for your children. Convention Weekend is great for the entire family! Whether it is Kids Convention, Encouragement by Chocolate for moms, or our Saturday evening entertainment, THSC Conventions are truly one-of-a-kind! 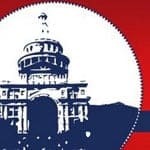 THSC Capitol Days are the ultimate hands-on experience in state government and a valuable tool in lobbying the legislature on current issues of importance. Students and families meet at the Capitol building in Austin for activities and training in the legislative process and to learn about current pending legislation important to Texas home schoolers. Attendees, divided into teams, spend the afternoon delivering provided packets and lobbying the home school position (discussed in morning sessions) to legislators and their staff. 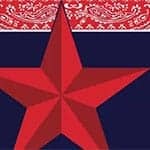 The purpose of the THSC Gala is to spread the vision of THSC and to raise funds to continue the work of Keeping Texas Families Free. Friends and supporters of THSC come together for an elegant dinner and program and recognize the achievements of Texas home school defenders and top achievers. The Gala is held annually in Houston. 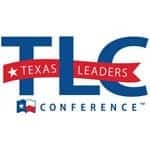 The THSC State Leadership Conference is an event designed for the instruction and encouragement of local home school group leaders so that they, in turn, can build a stronger home school community. This conference offers workshops and round table discussions specifically addressing the challenges of local leadership and encouraging leaders across Texas. 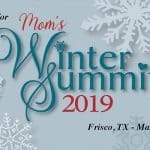 Winter Summit weekends are designed to be everything a mom needs to REnew, REfresh and REstore her diligent, but often weary heart. These events were birthed by a crazy team of homeschool moms who wanted to share their struggles, hopes and dreams for their families in a safe, transparent, God-fearing environment.